Mark your calendars, the 9th Annual Swift-Cantrell Classic is back. Registration has just opened for the kick-off race of the Kennesaw Grand Prix Series. 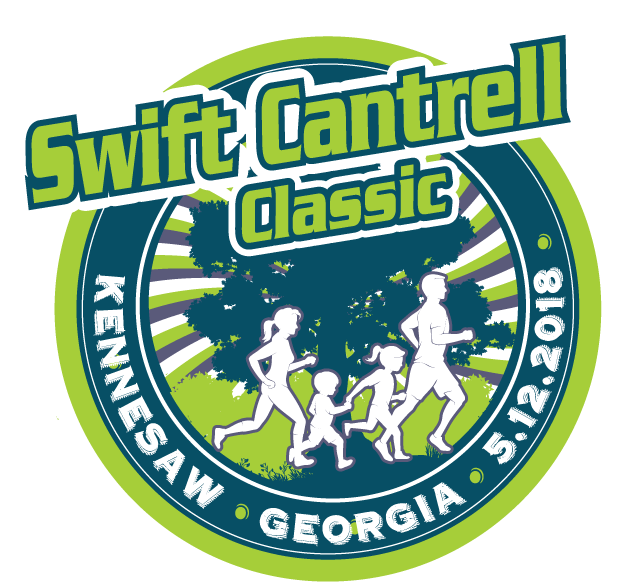 The Swift-Cantrell Classic, a benefit 5k hosted by the Swift-Cantrell Park Foundation, will be held on Saturday, May 12th, 2018. The race begins at Kennesaw First Baptist Church, winds through Swift-Cantrell Park, and finishes in historic downtown Kennesaw. The fast and flat race is professionally timed and serves as a qualifier for the Peachtree Road Race (GA1103OWC). All money raised by the Swift-Cantrell Classic is reinvested in to special projects at Swift-Cantrell Park. The dollars raised from this year’s race will go towards fixing the erosion issues and resurfacing the dog park. Challenge yourself and run in a friendly, community environment in the opening race of the Kennesaw Grand Prix Series while simultaneously giving to a worthy cause.